Easter has snuck up so quickly I thought I better share a few of my Easter decorating projects with you all before it's too late! 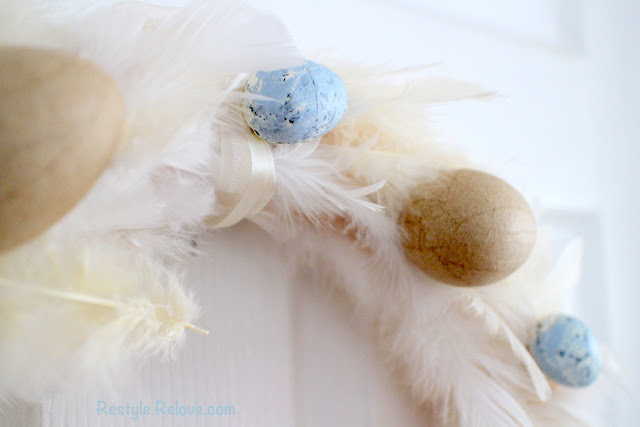 I made this feather Easter egg wreath last year. 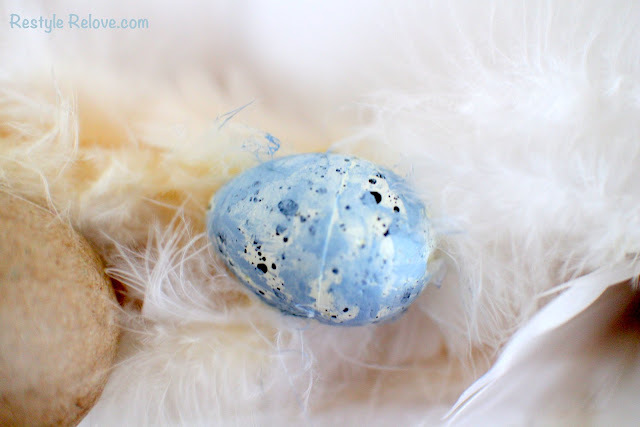 This year I gave it a little tweak by painting the little speckled eggs blue. I tried to make sure some of the speckles still show through. Love the result. The blue is so pretty! Lots more Easter yumminess coming soon! 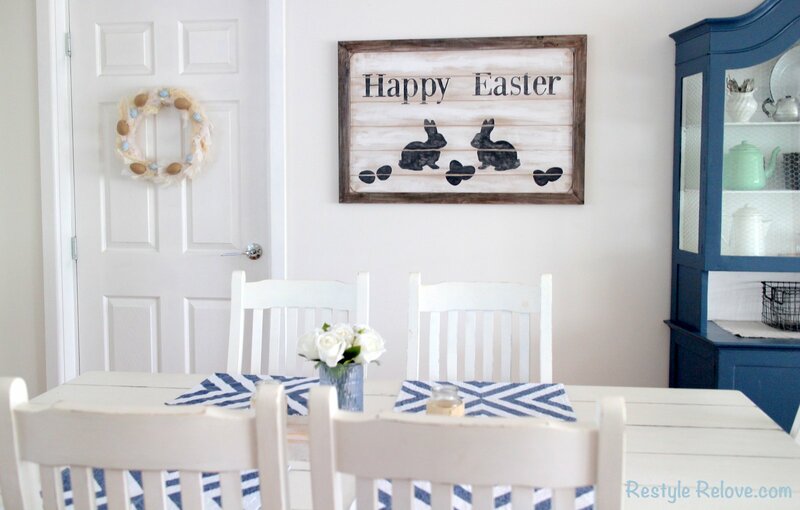 Including an Easter Home Tour! I love the change to blue eggs Julie! 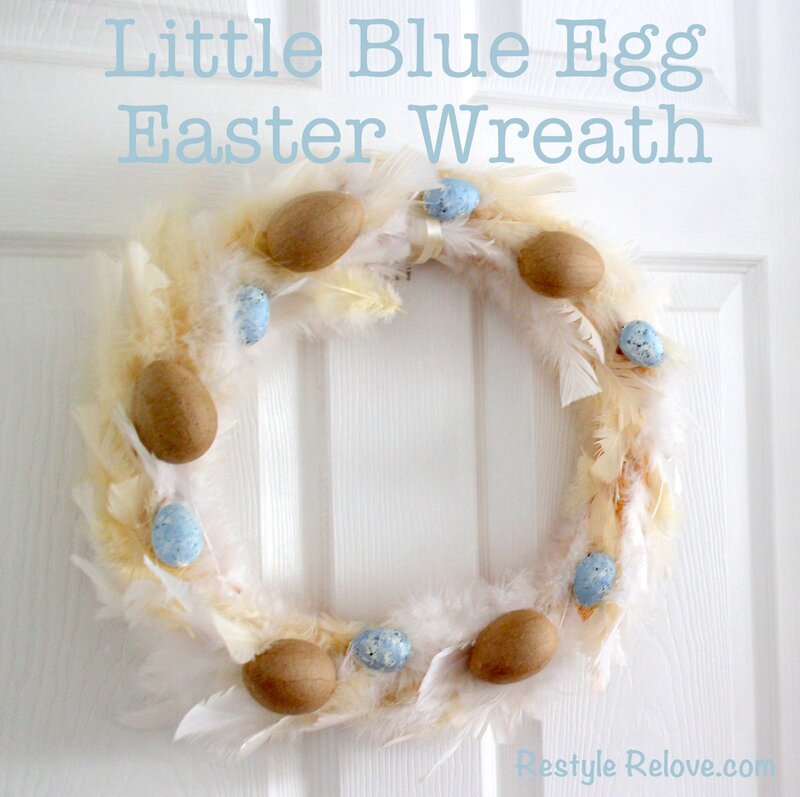 I've included this project in my Shabbilicious Easter Egg round up for the Shabbilicious Friday Link Party tomorrow.